**Disclosure: I am participating in a campaign through Zone Perfect. They have provided product to help facilitate the campaign. No monetary compensation has been received. Although I have entered the campaign and received complimentary product and ZonePerfect promotional items, I am free to comment about ZonePerfect in a positive, neutral or negative fashion, based upon my experience with the product. This year we are really trying to turn our eating habits around. I grew up on fast food. My mom did not cook much so we were always picking up either pizza or burgers and fries! I carried that routine into my young adult life, really not knowing any better. It was not until my second marriage that I discovered "real" food and starting really paying attention to what my body needed, not wanted. I need to make this happen! Making It Happen! That says it all! Year after year I set goals and within months they are broken. That's it! I'm tired of letting myself go, tired of making goals and not sticking to them and just tired of all the talk and no action! This is going to be MY year!! Ever wonder why things don't go your way? Why didn't this happen or that happen? You know that your actions greatly affect they way your life goes?! I truly believe that - if somethings doesn't happen or falls through - I will admit that I had a big part in that. Like the saying goes - if there is something you truly want in your heart, then there is nothing that can get in your way. Yes, there will be obstacles and trials that you will go through, but it's how you handle them that determines the outcome. Will you push through or just accept the way life is going and change nothing? Become closer to God. Become at least halfway through studying the Bible & be more committed in my prayer life, always putting God first in my life. I know this may seem like a lot, but if there is a way you want to see your life go, then you have to want to make it happen! And I do! :) Below is a letter to myself to help me stay encouraged! This has got to be your year! You are off to a great start - losing 15 pounds so far this year!! Don't give up, I know you can do this. I know it's hard, but think about the results in the end - how amazing will it be to feel comfortable and free. You are currently at the lowest you have been in over 15 years!! Keep it up and let's turn heads this year!! 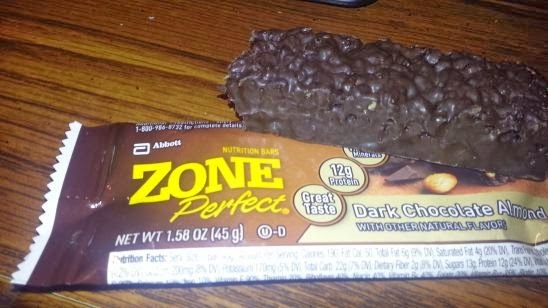 Between meals and for protein - pick up those Zone Perfect Bars. So yummy and filling!! Let's do this! I hope you will join with me and get healthy this year! Doing it as a family helps tremendously!! 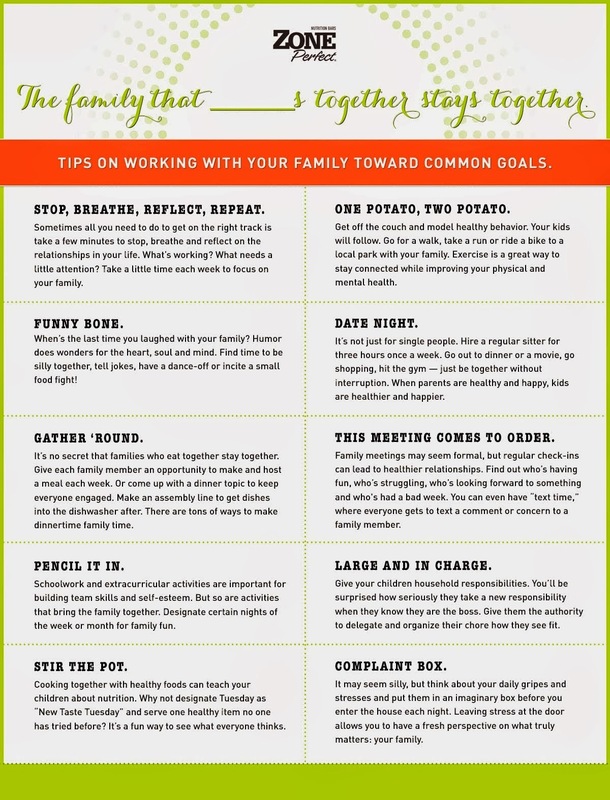 Below are some great tips to help you get started with creating some goals!